Borrowing money is to be avoided if possible, but there are obvious times in life when you’ve just got to do it. If you’re sensible, you probably are averse to borrowing. You may not like to even use a credit card for all but the most strategic purchases. This is a good way to be, but it’s possible to take it too far. The lending industry is very diverse. Sure, there are plenty of companies out there who want to give you money only so they can take a lot more money back. The Payday loan industry comes to mind here. In the middle there are lending companies that don’t want to fleece you, but still want to make sure they get their money back and more besides. Think standard credit and bank loans here. Finally, there are lenders who are so sure of your ability to repay, or are subsidized by the government, that they charge you very little money to borrow. Debt consolidation and mortgage lending are examples of this latter type. Of these three types, you should only ever deal with the second and third. Personal Lending Group gives loans of both types, so we’ll use them as an example for this post. 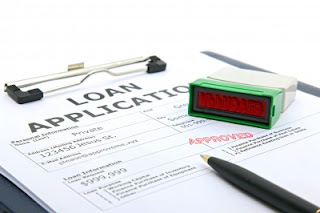 Personal Lending Group offers three main types of loans: personal loans, business loans, and mortgage loans. Each of these three types is an example of a legitimate loan that (hopefully) won’t turn into a debt death-spiral. Personal loans can be used for many purposes. They are best used to invest in something that will give you a much better life or greater earning potential. An example might be a bathroom renovation that allows you to sell your home for 25% more next year. A bad example would be a vacation. Personal loans should be affordable to people with reasonably high credit scores, and others will should still be able to take out such a loan without it becoming a money pit. Personal loans are sometimes used for debt consolidation, where various high-interest loans are paid for with one low/mid-interest loan. Student loans also fall under this category. Business loans are made affordable, largely on the part of the government. Government regulations and subsidies favor new businesses, because governments need strong businesses to form the foundation of a strong economy. Business loans can be tricky, because many businesses fail in their early days and are unable to pay back their loans. But this is an example of a good loan to take out if you feel relatively sure of your future success in your business. Finally, there are mortgage loans which allow homebuyers to pay for houses all at once, when they don’t have enough cash available to do so. Like business loans, the government loves homebuyers and makes sure that mortgages are very affordable as a result. If you bought a house within the past few years, you’re probably paying less than 5% on that loan, which is crazy cheap! These are the best reasons to take out loans. If you are taking loans out for other purposes, you’ve got to really consider if you really need the money you’re asking for, or if it’ll make positive changes in your life. Great simple article about the pitfalls and potential benefits of borrowing money. We don't have any debt (and never have), we are very proud of that. The only loan/debt we plan to ever have is a mortgage one day, but that is quite a few years off.